I recently had a little getaway from the cold, snowy, frozen Northeast. 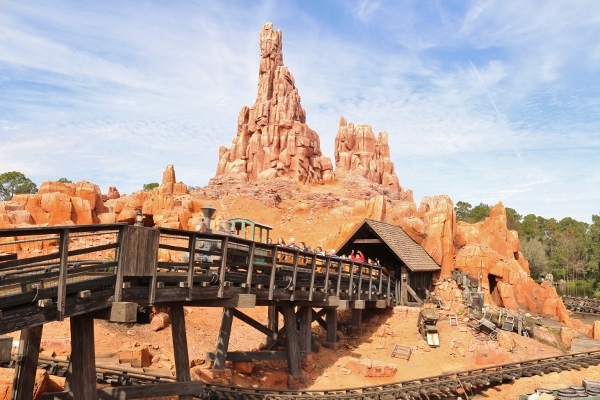 I spent four nights at the Animal Kingdom Lodge - Kidani Village at Walt Disney World (I'll be discussing the resort in a future post), visited the parks, and dined at some really exciting Disney restaurants. The weather in Florida was surprisingly cool for this time of year, and we even had to bundle up a bit in the mornings, although it definitely warmed up in the afternoons. Personally, I thought the weather was perfect, and reminded me of a New England spring (something that couldn't come soon enough *cough cough* Mother Nature, please take the hint). 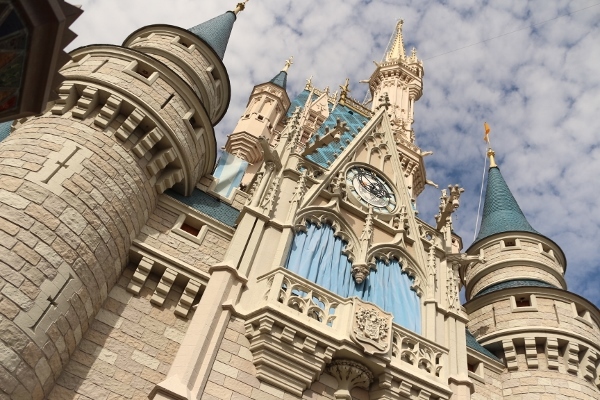 Over the next couple weeks I will be sharing photos and thoughts from my trip, mainly discussing food, but I also plan to touch on other aspects of the trip, including our amazing resort and our behind-the-scenes Keys to the Kingdom Tour of the Magic Kingdom. 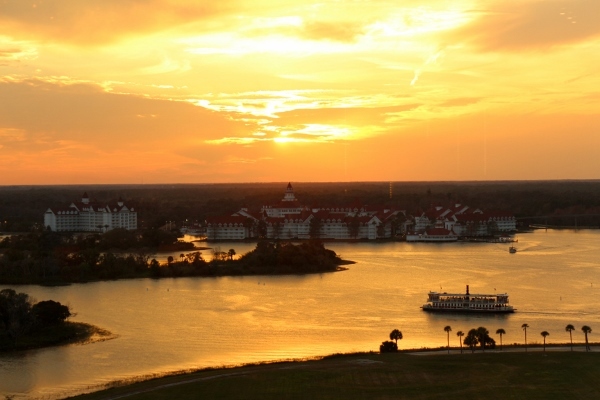 On our first day in Orlando, my sister and I checked into our resort and then immediately headed to the Magic Kingdom. We arrived at the the park around 11 am, so we actually only missed a couple hours of the park being open. Suffice it to say, we are really good planners, and always manage to do everything on our list, and still have time for some extras. We actually had a FastPass reservation for lunch for Be Our Guest Restaurant. 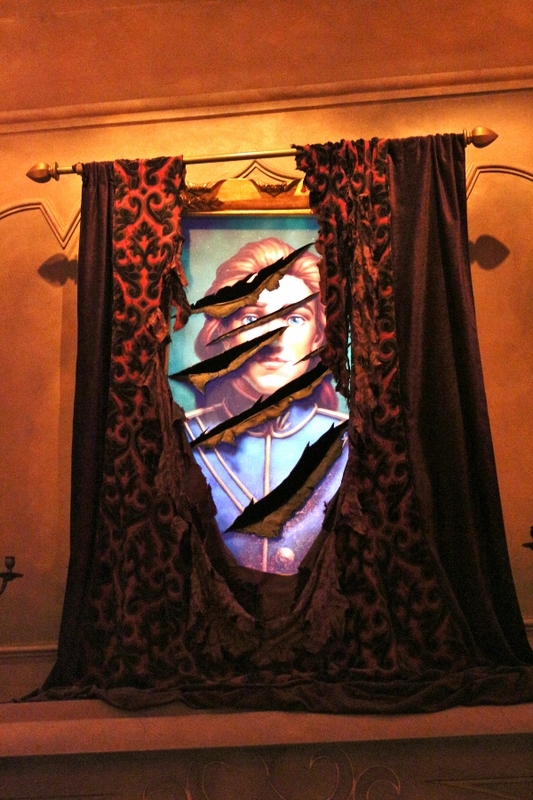 You may recall that we've dined here on a previous trip to Disney. On our last visit, we sat in the Ball Room, but during lunch you can find a seat wherever you like and your food will be delivered directly to your table. We decided to sit in the darker and quieter West Wing. 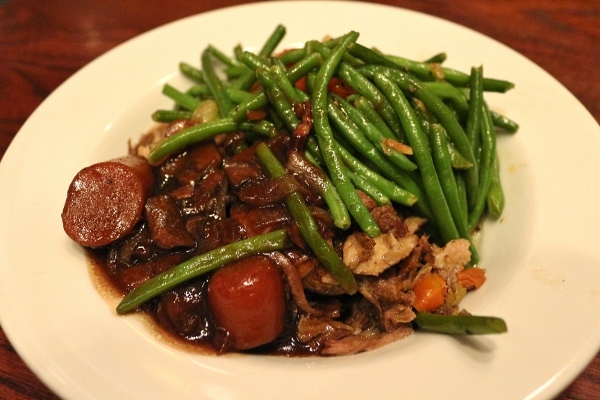 We had pre-ordered our entrees through our FastPass reservation and both elected to have the Braised Pork with mushrooms, carrots, and bacon, served with mashed potatoes and green beans jardiniere. It was perfectly comforting and very filling. I will say, along the lines of my last review, I still feel that they are a bit on the salt-happy side here at BOG. The food was well-seasoned, but some may have preferred it to be a bit less seasoned. Overall, we were happy with our selection. After a long day of fun at the Magic Kingdom, we headed next door to the Contemporary Resort for a dinner reservation at California Grill. It's been on our wish list for a while, and the last time we were at Disney World it was closed for an extended time for renovations. We were so excited to finally get to try it out! 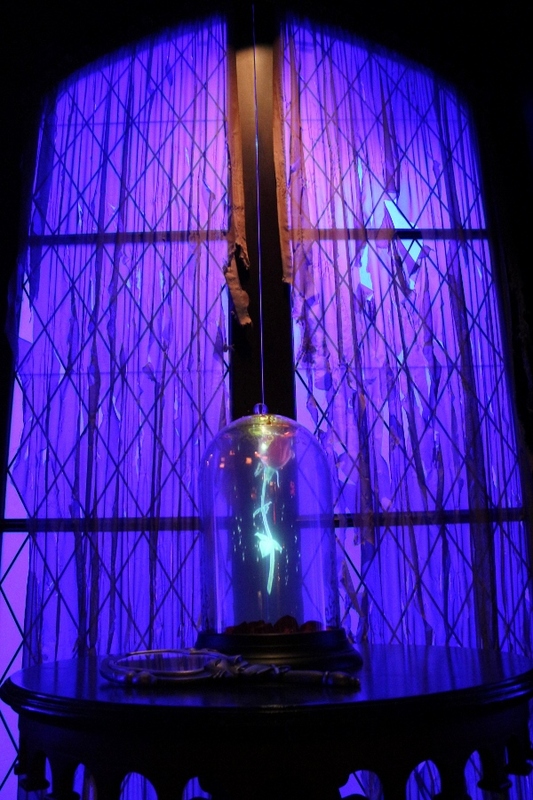 First things first, I absolutely love the decor and ambiance. It's really clean and elegant and features vibrant colors throughout the space. 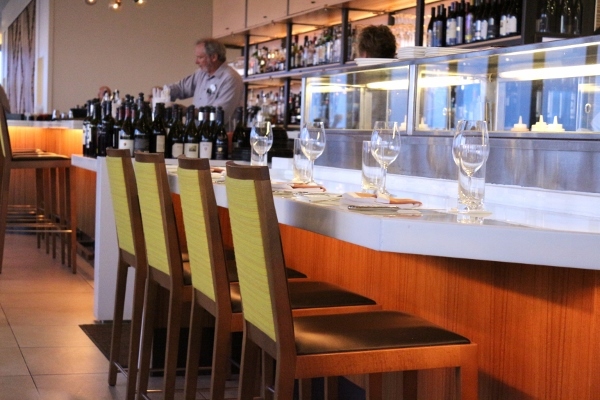 My favorite is the bright yellow hue that carries through a lot of the seating and even the tissue paper found in both our bread basket and our dessert basket of fritters. 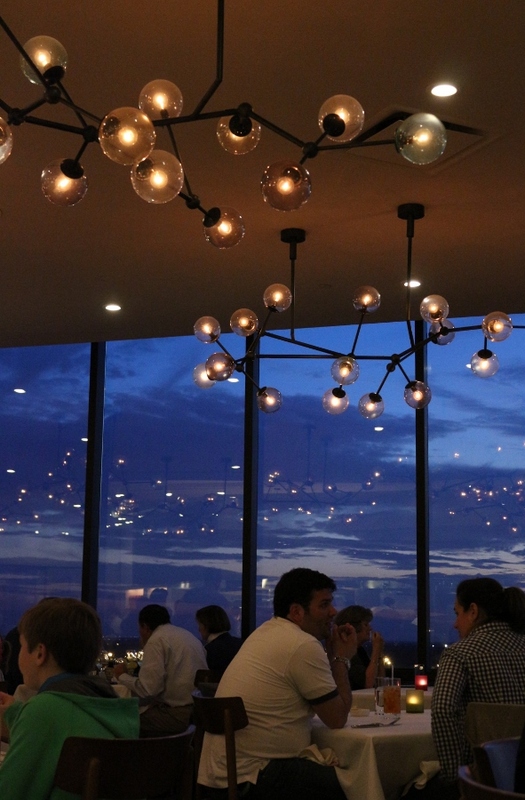 Love the lighting fixtures... and the sky at dusk isn't so bad either. 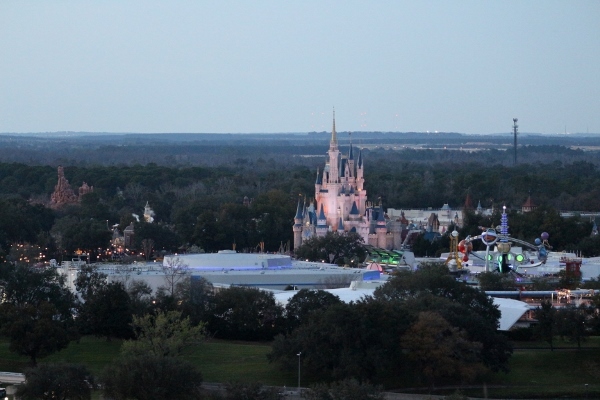 California Grill probably features the best view of any restaurant at Disney World. 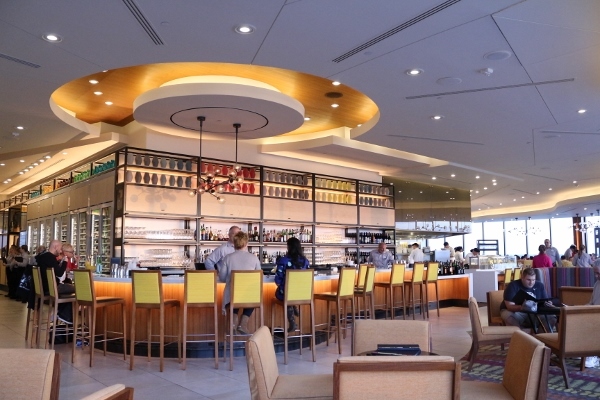 Towering over its neighbor, the Magic Kingdom, California Grill is located on the top floor of the Contemporary Resort. 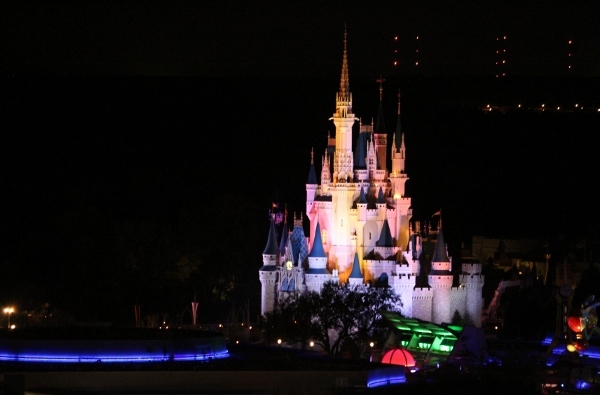 In fact, California Grill is a prime location for viewing Wishes, the nighttime spectacular at the Magic Kingdom. 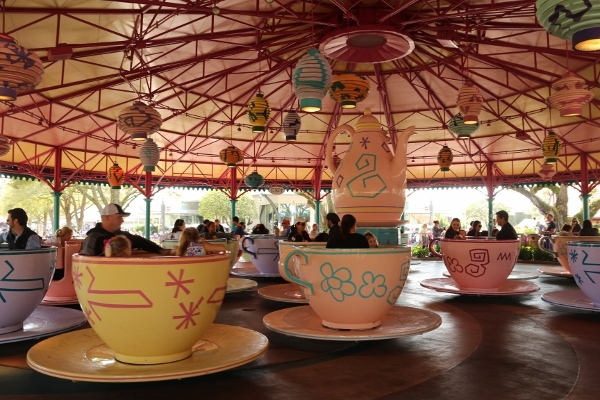 There are a couple different outdoor viewing spots on either side of the restaurant, and the music from the show is played on speakers, giving diners the opportunity to watch the show just as if they were at the park, but just from a completely unique angle. 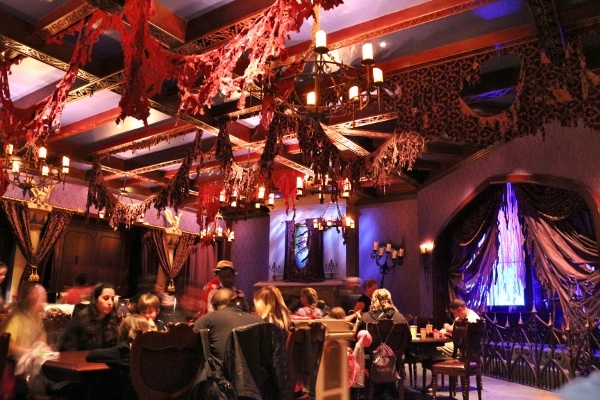 Our advanced dining reservation was early enough that we were able to finish our meal well before Wishes began. We started the meal with a couple cocktails to celebrate my sister's early birthday (our table was decked out in Mickey confetti especially for the occasion). We both selected the Blood Orange Mule, comprised of Solerno blood orange liqueur and Belvedere vodka with ginger beer, blood orange and lime juices. What a delicious and refreshing way to start our vacation! 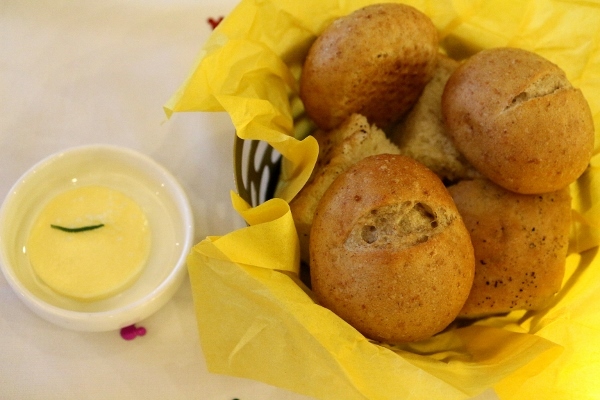 The bread basket arrived next containing a combination of rolls and focaccia, served alongside a slab of creamy butter. No complaints here! We decided to go halfsies on a couple of appetizers. The first is a California Grill staple, and probably one of the best bites of food I've ever had at Disney. 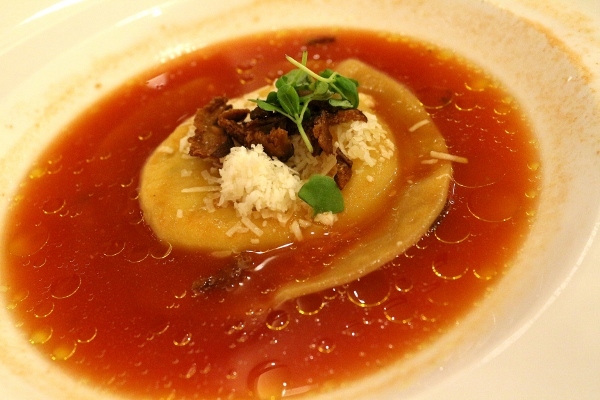 The Sonoma Goat Cheese Ravioli is truly outstanding. I realize it's one large ravioli with tomato-fennel broth priced at $15, but I can't stress enough how incredible it is. 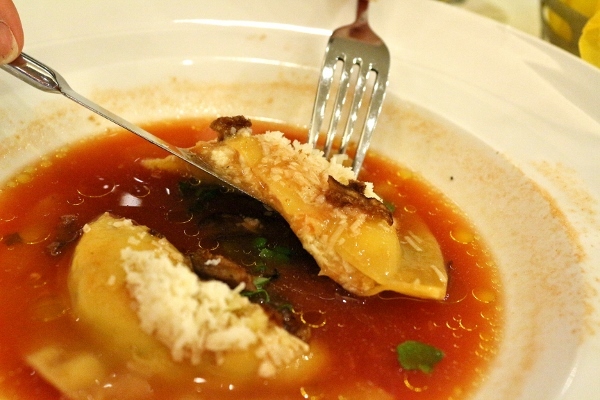 Filled with a combination of both mild/soft and aged goat cheeses and bathed in an incredibly fragrant and mouthwatering tomato broth with just a bit of an edge, this ravioli is perhaps my favorite dish from the entire trip, or at least one of them. I highly recommend ordering it (and take my word for it, don't share!). We also went halfsies on the Baby Beets and Citrus Salad, which is as beautiful as it is delicious. 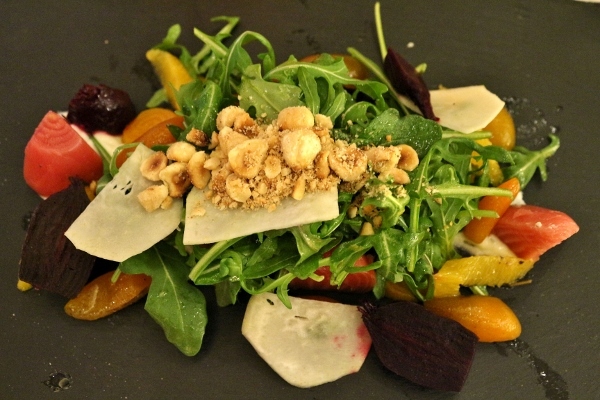 Colorful beets and citrus segments come together in this salad with more goat cheese, candied kumquats, hazelnuts, and kohlrabi to create a lovely balance of flavors. 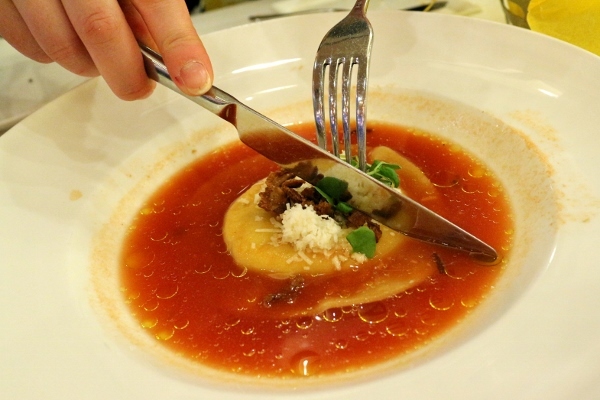 It still can't top the ravioli, but it's a solid starter to the meal. Although we originally had no intention of sharing our entrees, once we tasted both choices, we decided that to be fair we would share. They were both outstanding. I honestly can't say which I prefer. They are both different, and yet perfectly executed. 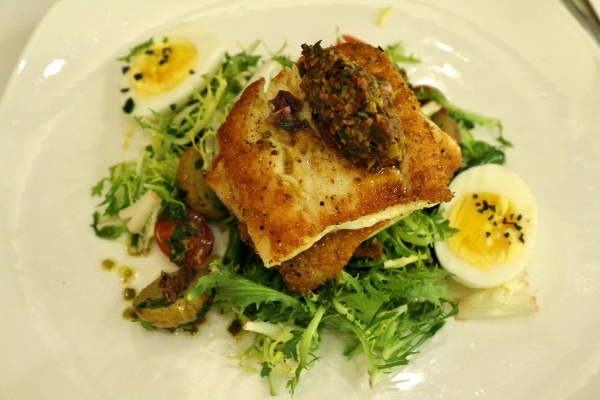 The first is the East Coast Flounder with roasted marble potatoes, Nicoise-style salad, lemon-olive vinaigrette, and olive tapenade. Talk about perfectly cooked fish. The exterior is absolutely crisp, and the fish is tender within. The Nicoise flavors along with the tapenade are perfect compliments for fish, and this preparation is no exception. Two major thumbs up for the flounder. 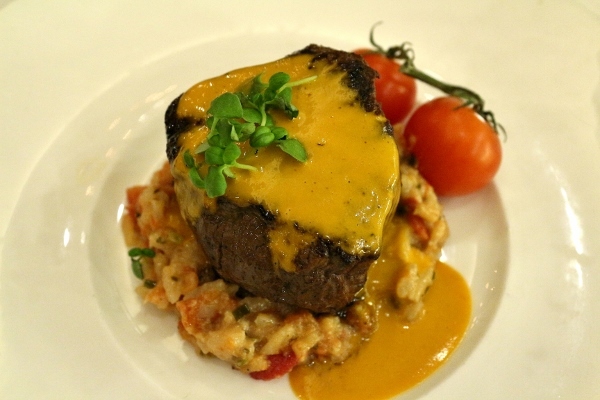 Additionally, we dined on the Oak-fired Filet of Beef, which features heirloom tomato risotto, baby vine tomatoes, tiny basil, and tomato butter. This beef dish is a glorious tomato explosion. It's almost a poetic interpretation of the ingredient for anyone with an appreciation for it. 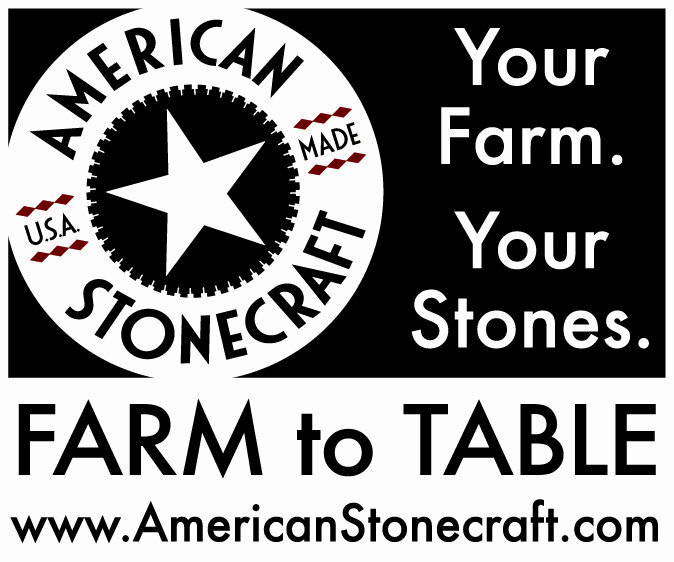 The quality of the tomatoes that are used is exceptional. 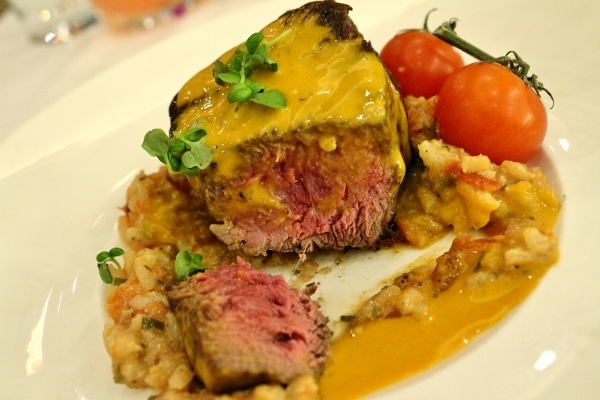 The flavor is so condensed both in the risotto and the sauce that it really stands up to the assertive beef. Two dishes during this meal featured tomato as a main component, and even though it's not tomato season, they manage to hit it out of the park on both occasions. Bravo! We couldn't skip dessert, especially since a good friend of mine used to be a pastry cook at California Grill. I actually texted her some of the options on the dessert menu to get her advice, and she steered us toward the Warm Homemade Fritters, which she states is the new signature dessert after the restaurant's renovation. 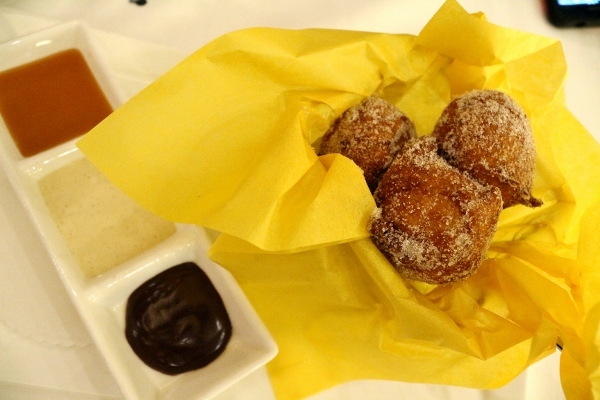 They are banana-stuffed, cinnamon-dusted and complimented with a trio of dipping sauces including salted caramel, peanut butter creme Anglaise, and chocolate ganache. 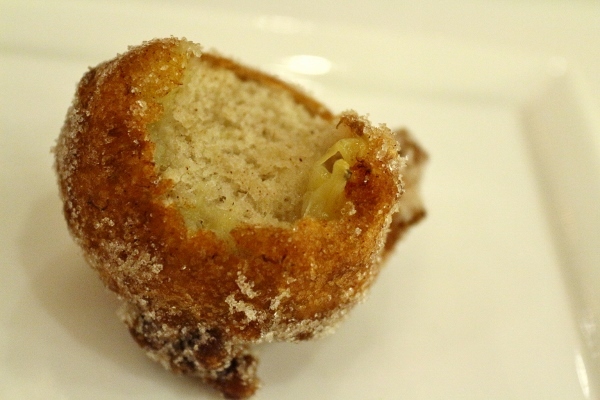 The fritters are a fantastic ending to a truly incredible and memorable meal. I loved all three of the dipping sauces (individually, and all together in one bite). You definitely can't go wrong if you're a fan of fried dough, and really who isn't? 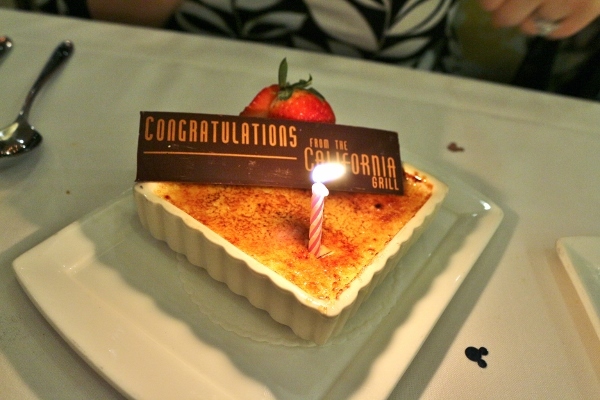 They also brought my sister a decadent Vanilla Creme Brulee in honor of her birthday. 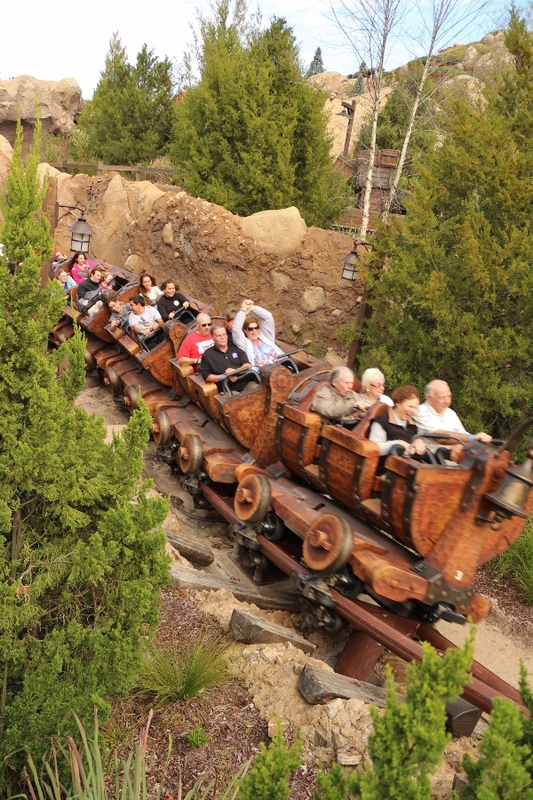 It's such a classic and a wonderful punctuation to a great day at Disney. 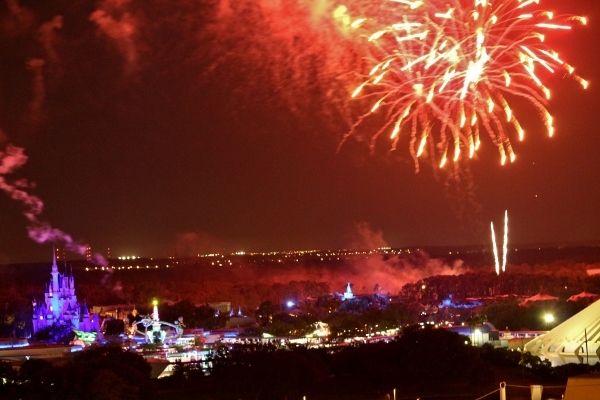 And what better way to end the night that with prime viewing of Wishes! 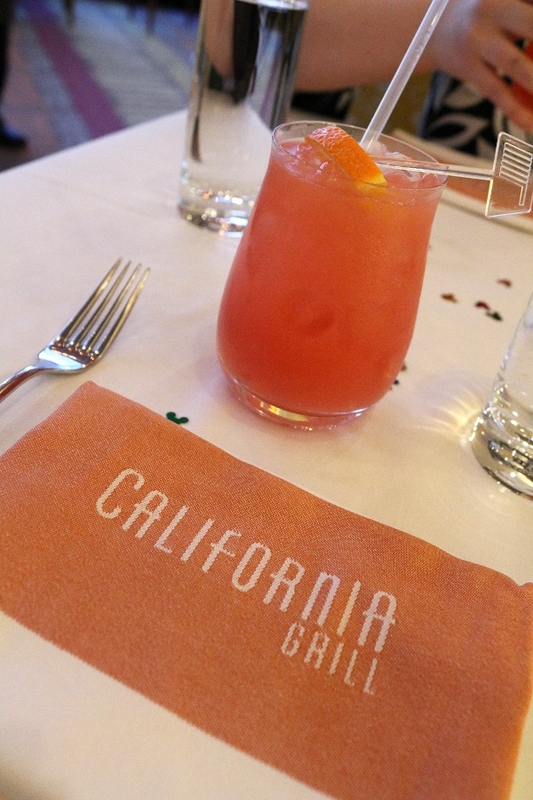 I can't say enough about my experience at California Grill. 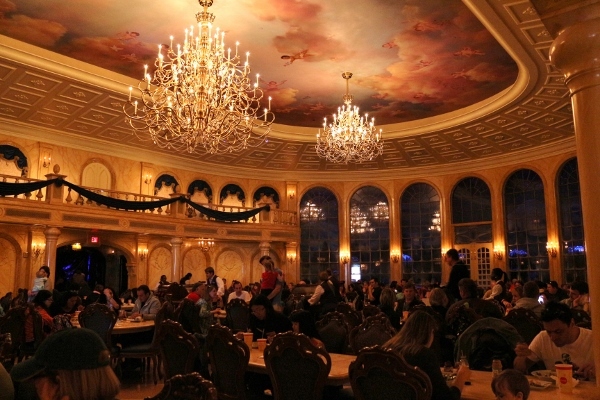 Although it's definitely one of the pricier Disney restaurants, it's worth every penny.